It's time for another in-person class. Registration is now open for the June 28th Beginners Photography Class! Each year, in addition to our online photography classes that can be taken 24/7, we have a handful of in-person photography classes in Lexington, KY. These in-person classes are where I fell in love with teaching photography. It's so fun to teach these classes, watch the lightbulbs come on and witness the “aha moments.” It's not long after the class that I hear everyones excitement as they’ve been practicing and feeling great because they are immediately taking better photos. Such a great feeling as a teacher! Is your fancy digital camera still on auto, just like it was when you took it out of the box? Are you feeling frustrated trying to get better photos, yet you lack the time and patience to learn how? Does trying to read the techno-jargon in your camera’s manual make you want to pull your hair out? 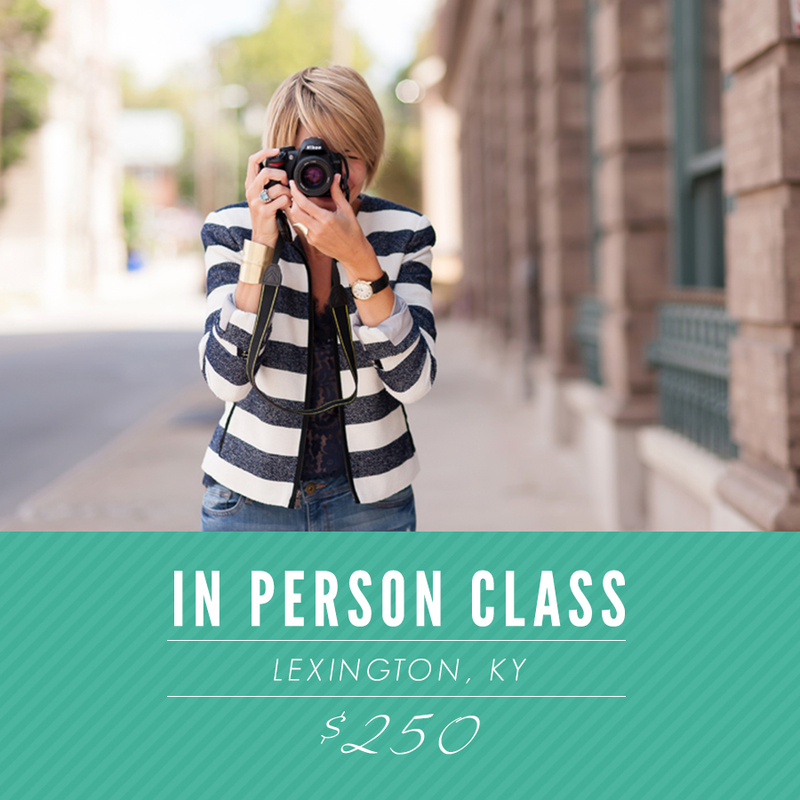 If you thrive in a casual learning environment with time to ask questions and receive personal feedback, then you would be an ideal fit for the in-person Beginners Photography Class in Lexington, KY on June 28, 2014. My first digital camera was a Christmas gift from my husband. I imagined taking beautiful portraits of our kids and family, documenting so many important and exciting events, and creating stores of treasured memories, framed in perfect compositions and, of course, impeccably lit and focused. The excitement of receiving such a great gift was soon trumped by the realization that I didn’t have a clue how to use it! Like you, I had a dream of taking amazing pictures and just wanted someone to tell me what camera settings to use. My frustration quickly turned to obsession, as I poured countless hours of myself into learning photography. (I’m pretty sure my well-intentioned husband regretted giving me the camera at this point – I was attached to it 24-7!) Today, I not only have a passion for taking portraits and creating art for my clients and our family, but also a passion for teaching others how to capture better photos for their loved ones too. This five hour small group class is focused on learning how to get more from your camera and take better pictures. The class size is limited to 20 students so everyone will have an opportunity to ask specific questions. Enjoy the casual class atmosphere as you sip on a Mimosa, make new friends and take in all the class information. "This is a must take for anyone who has a camera and doesn't know how to use it, or wants to figure out how to take great pictures!" You are a professional photographer. For mentoring information, please email me. The in-person Beginners Photography Class will take place Saturday, June 28, 2014 in Lexington, KY. The class will run from 10am to 3pm at Greenbrier Country Club. You can reserve your spot to the in-person Beginners Photography Class for $250. We also have a new bundle option to get both the in-person and online class for an additional $85! That is 63% off the the price of online class access (regularly $229)! Lifetime access. This means you will also get access to an new content or videos added in the future! Crazy low price! Save 63% off the the price of online class access! Choose your favorite class option below, fill out the registration form and complete payment online. You will receive a confirmation email from the BPC Team to let you know that you are all set to go! I look forward to meeting you! The not so fine print: Please note the registration fee is non-refundable. However, if you are unable to attend the class, you may give away or sell your seat. DONT WAIT TO SIGN UP - OUR LAST CLASS BOOKED UP IN 24 HOURS! Can I still come to the class if I don’t have a fancy digital camera? Yes! This class will teach you how to take better pictures regardless of the camera you are using. However, focus will be on DSLRs, so they are recommended for maximum class impact. Not sure what kind of camera or lens to get? 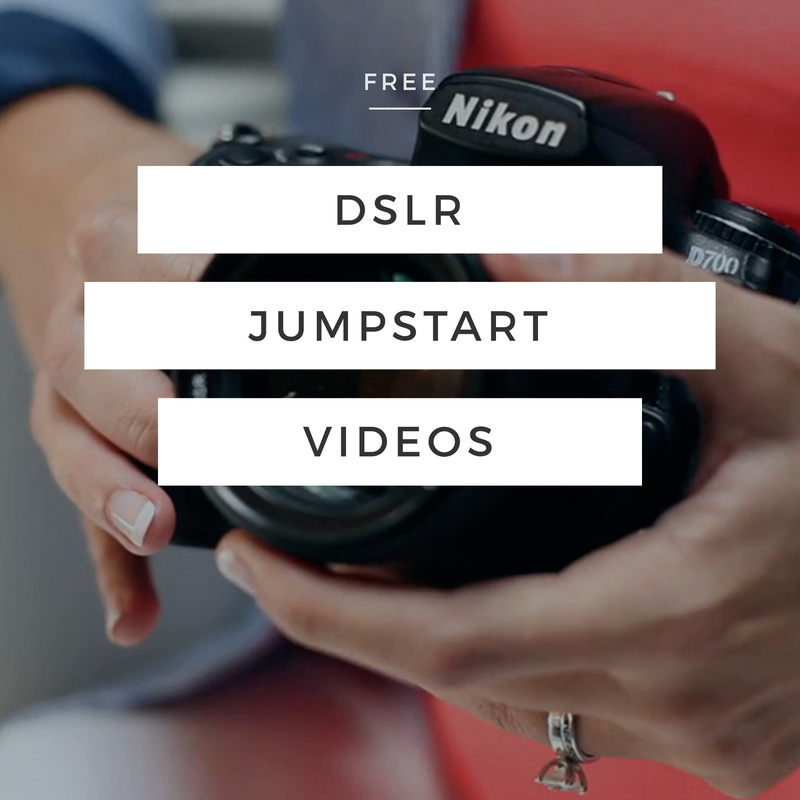 Check out my go-to equipment formula for a beginner photographer here. All you need to bring is your lenses and camera with the manual … if you can find it! Most camera manuals can be found online and are easily downloadable to your computer, tablet or phone. Will there be time to practice taking pictures? Yes! This is new for 2014! Talking, learning and practicing are the best ways to pick up the material quickly. We will have hands on shooting and instruction. Just ask! Write hello@beginnersphotographyclass.com and we will get back with you as soon as possible. I can't make this class, will you have others? Yes, I teach several in-person classes throughout the year as my shooting schedule allows. These classes typically fill up very quickly. By joining our email list, you will be sure to hear about local class dates as soon as they are announced. We also have online classes are available year round with instant access. More information about online classes can be found here. Read Testimonials from Past Students Below! "It's so worth it! It forces you to sit down and learn the basics because we all know if it was up to us we would never read the manual on our own. The class was a great condensed summary of all the important things it would take hours and hours to research on your own. It was also great to hear the answers to other participant's questions that you don't necessarily think about but would be sure to run into sooner or later. Kristin is a great teacher who will take the time to make sure you know it before you leave the room!" "It was great to simply learn what all the buttons and meters on my camera are since I've never bothered to read the manual. It was also useful to learn that certain lenses are only capable of so much. Learning aperture has changed my whole world of photography." "I loved how laid back the class was. Being able to ask questions throughout made it so easy to really understand all of the information. I also loved the booklet that we went through step by step!" "That it is a must take for anyone who has a camera and doesn't know how to use it, or wants to figure out how to take great pictures!" "You did an excellent job covering the basics....perfect for beginners to understand. Just learning what the "thing a majigs" on my camera are for has made a huge difference. Yes, I could have read my manual, but you put it in simple terms." "I loved the presentation and how we were given a packet along with her powerpoint presentation. It was very organized and easy to follow. I also didn't have to worry about taking notes feverishly. She had the pertinent points written out for us so we didn't need to do that." "Dear Kristin, Thank you, thank you, THANK YOU! The Beginners Photography Class was excellent! It was fun and engaging and I learned so much. My girls *may* be getting tired of me taking pictures of them already, but I can't resist because the photos are so much prettier now that my camera is off auto. I so enjoyed the class and meeting you. You have a talent for making complicated concepts seem simple and I appreciate you making this Momma able to preserve some little, big moments. Thanks again! Warmly, Jennifer M"